Learn Digital with Rahul is an online resource run by me, Rahul Dubey. I’m a blogger, digital marketer, tech enthusiast, affiliate marketer, YouTuber and much more – you may (literally) find me everywhere online. The reason for that is: I love teaching people and helping them solve their problems – even if it’s a dirty technical problem. I’m a quick learner and blessed with the natural talent of good writing skills. I started my primary education as a topper of the class and later, got a habit of being a class topper. I enjoyed some initial fame of being featured in the school magazines and local newspaper due to my writing work. Nothing changed until I realised that I’m wasting my parents’ hard-earned money for valueless education – even though I was completely unknown to Steve Job’s ideology about valueless education. At 16, I decided to ditch the education system, 9-to-5 job schemes and started writing for a living. But I failed miserably. The failure inspired me to realize that I was on the right track as being a loser was way better than being a topper. Although I failed, yet learned some important lessons. I started enjoying it, challenged myself and kept chasing my passion. I failed multiple times but finally, succeeded in taking my online blog to unexpected heights within the first few months and tasted some initial success building a 6-figure online business. I continued my education and graduated with a degree of B.Sc. in Computer Applications from one of the most reputed university of the state – Nilamber Pitamber University. After graduation, it didn’t take me too long to understand that I have started wasting my own money instead of my parents’ money. So finally, I dropped out of college and now living a laptop lifestyle – learning every day, experimenting every day, teaching every day, and helping people change their lives every day. Why Listen to Rahul Dubey? I started my first online blog in 2013 and published an awesome blog post, I was hoping that it would be trending all over the internet. Next day, when I woke up, I logged into my blog and noticed that the article was deleted. Yes, it was written on a free blog platform and I didn’t have control over it. The moderators deleted it for untold reasons. I started a few more blogs, this time on Blogspot. I was hoping that since it is Google’s product, my blog is in safe hands. But again, the story continued. Until now, I had learned the problems with free blogs and free blogging platforms, so I decided to create my own professional blog. After lots of research, I decided to choose WordPress as the content management system due to its advanced functionality and controls. The first thing I struggled with is: how to pick a right domain name, which hosting to choose, which plugins and tools do I need, how will I design my blog without programming or coding skills and a few more. There was no one to guide me but I figure out everything – with research, experiments, and failures. I was able to create a professional blog and write a handful of quality articles as well. But then the biggest challenge I faced is how to drive traffic to my blog. I tried everything I could but failed to get people to read my articles. Unfortunately, I had no money for paid marketing. So I had to learn to grow with free marketing. As a beginner, SEO was a very dreadful term for me, but I cracked it. I educated myself Search Engine Optimization and after that, everything changed. Since then I’m crushing online with many 4-figure businesses. I have created a few high-quality blogs that not only makes me passive earning but also helps people solve their problems. Over the years, I have created multiple money making AdSense blogs, powerful Micro Niche blogs, Amazon Affiliate blogs, successful E-Commerce websites, popular YouTube channels, and many more online properties. I have tried, tested, failed, learned, experimented, analyzed – that’s how I have learned the secrets! That’s why you should listen to me. Because I’m not a random guy who boasts anything. I’m the man who is here to help you. I’m the one who has learned from his failures. I’m the one who has learned everything the hard way. Despite that, I’m the one who is here to help you succeed in the easy and simple way – with proper planning and proven strategies. You may call me – “Rahul is the man who is on a mission to help people grow their business and succeed in their digital lives”. 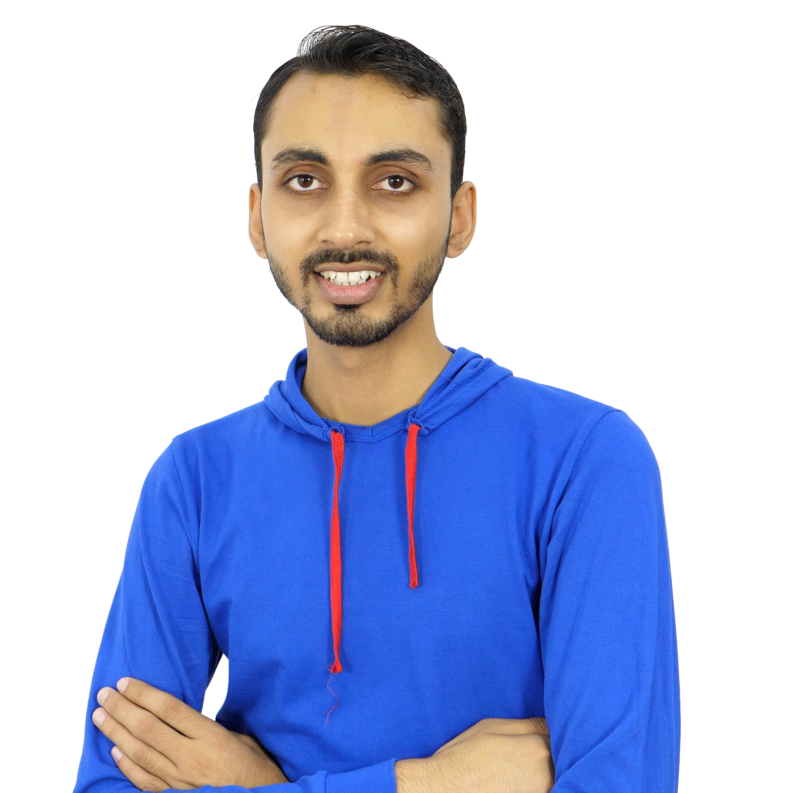 Why this Blog – Learn Digital with Rahul? If I’m already earning a lucrative income from my online assets, why this blog? Even I don’t know why! It’s like challenging myself. But there is emotional attachment and motive behind this blog. This blog is for the people who are struggling online, this blog is for helping them grow online, this blog is to teach people like you, and this blog is to change someone’s life. How to Get Exclusive Guidance from Rahul Dubey? Join 7-Day Free Email series to learn how to start your own blog and turn it into a profitable business. As a beginner, you can simply write to me and ask your questions and queries, you’ll get an answer within 6 to 8 hours. I have a private Facebook group exclusive for the readers of this blog, my students, and fellow bloggers. You can join this amazing community here and you’ll get instant answers from one of the community members or even me. I also do send weekly blogging tips, digital marketing lessons, and proven business strategies directly to your inbox. So you may sign up for the FREE email newsletter and get exclusive content from me. However, if you have any other query or need help from me, you may contact me. I’ll tell you how, in a moment. How to Contact Rahul Dubey? You may also use the contact form below to contact Rahul Dubey. But please be short and specific. I receive thousands of emails every day and it’s tough to answer every email. But I do read every email. If your email is short and specific, I’ll definitely reply. You may also contact Rahul using Facebook, Twitter, Instagram, LinkedIn, and YouTube.